Check this page for the FBLive Workshop schedule. be in attendance during the entire live event. Once the workshop is over, you can come to this page and fill out the form to receive your certificate. Your certificate will be delivered to you via email. Please allow 2-3 days to receive your certificate. Each workshop is approximately .5 hours. If the time goes over, you will receive a certificate that reflects the time of the workshop. 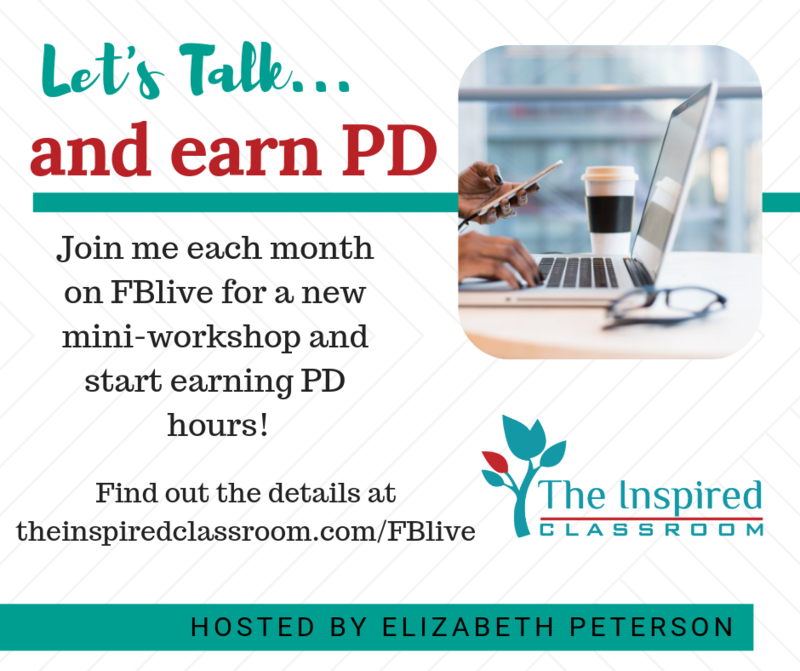 Fill out this form and submit to get your certificate for PD hours for attending a FBlive workshop! Please use the name you wish to be on the certificate. This is used only to make sure you were in attendance and active during the live event. What was your best take-away from this workshop? How was your experience attending this workshop? Join The Inspired Classroom's email list to get updates on articles, events, workshops and other inspiration for your classroom and school!